Setting is lovely. Lots of private outdoor space. Few places in Greece with English channels on Tv. Lovely hosts. Great location with a fantastic view. We were nervous about the drive up and walk to town from other reviewers, but both were no problem at all. 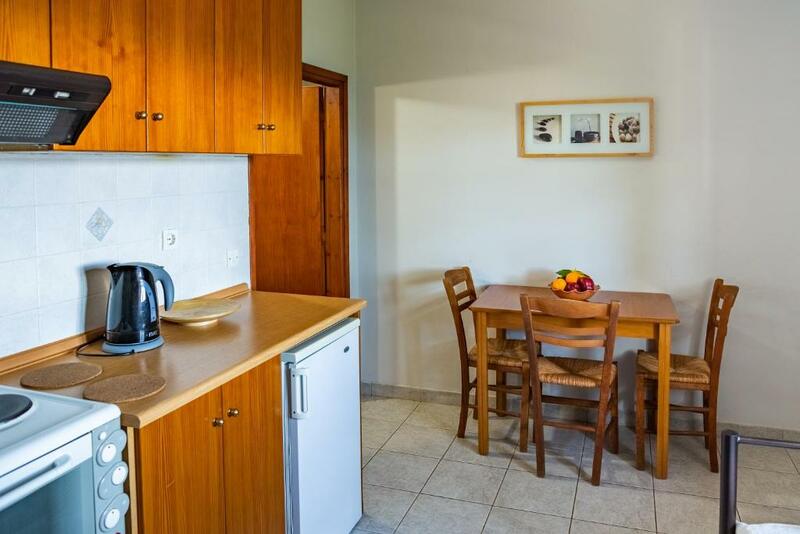 The place was a great size for our family of three and we made several meals using the kitchen during our stay. Host was very responsive and friendly. Excellent place to stay! Excellent hosts, beautiful view, nice room. Didn't want to leave. Location was close enough to the centre. Its on a steep hill and the parking can be a bit awkward. Rooms are big and you have a great view in the morning while you have breakfast outside. Owner were very friendly and helpful. 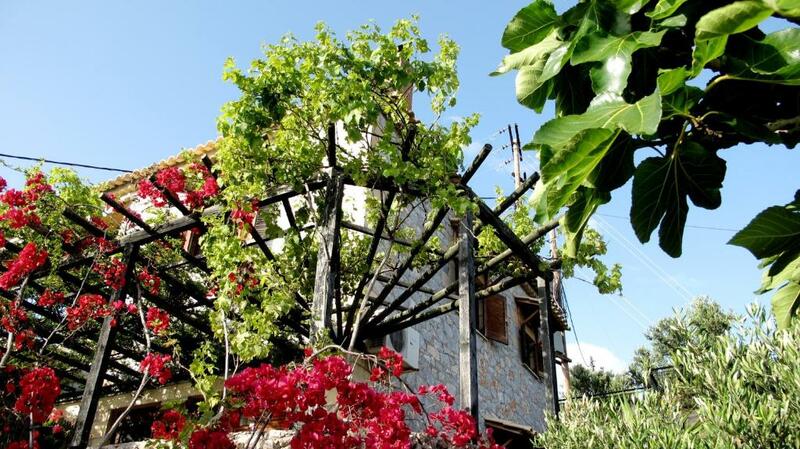 Papanestoras Apartments are situated on a hill just a few minutes walk above Kardamili, with an amazing view of the sea. Our apartment had a patio, which was perfect for looking out over the sea while eating breakfast. 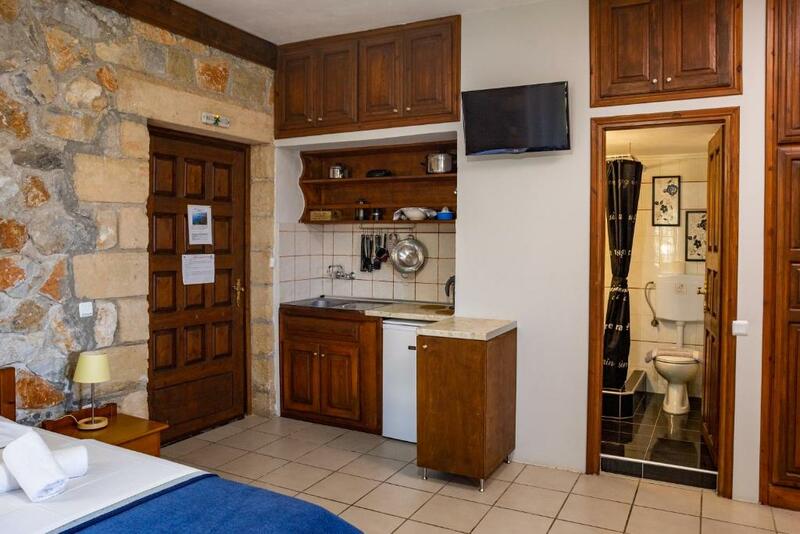 The apartment itself was in a cute little stone house, with all the amenities (including a kitchenette) you could need. Highly recommend! The hostess was warm and so very friendly and helpful. The views from the balconies were breath-taking. The rooms themselves were spacious and had large, comfortable beds. We were able to stay on an extra couple of hours. We loved the view from the bed. Person greeted us on arrival even though we hadn’t given a time. Lovely view from balcony with sense of privacy. Easy access to lovely mountain walks Easy walk to beach and Village, which is delightful. Bed was comfortable. Our host left us a cake! 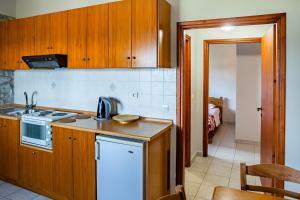 Excellent apartment, fully equipped with kitchen implements, aircon, TV and WiFi. Big comfortable bed with extra blankets, if needed, stored in the wardrobe, Good, solid front door and windows with wooden shutters and insect screens. 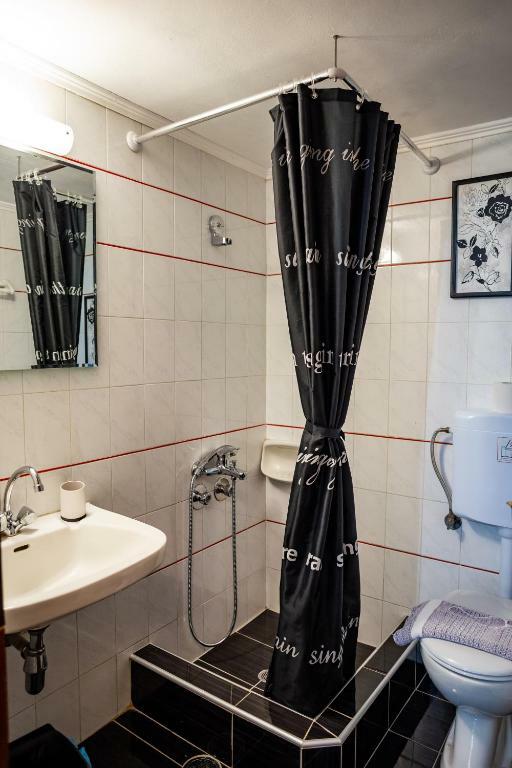 Nice bathroom with a great shower. Hot water from an immersion heater, turn on for 15 minutes to heat the water. Big square room with shower room off. Located on the outskirts of Kardymili probabaly about 10 minutes from the main street. An uphill walk with a gentle-ish slope. Very friendly host. Great view over Kardymili and the bay. Lock in a great price for Papanestoras Apartments – rated 8.7 by recent guests! 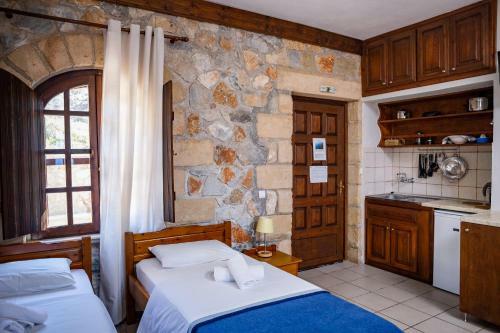 For an exceptional stay in Kardamili, this traditional Greek accommodations enjoys the unparalleled ambiance of the private Mediterranean villa, with all the advantages of the traditional Greek studio. 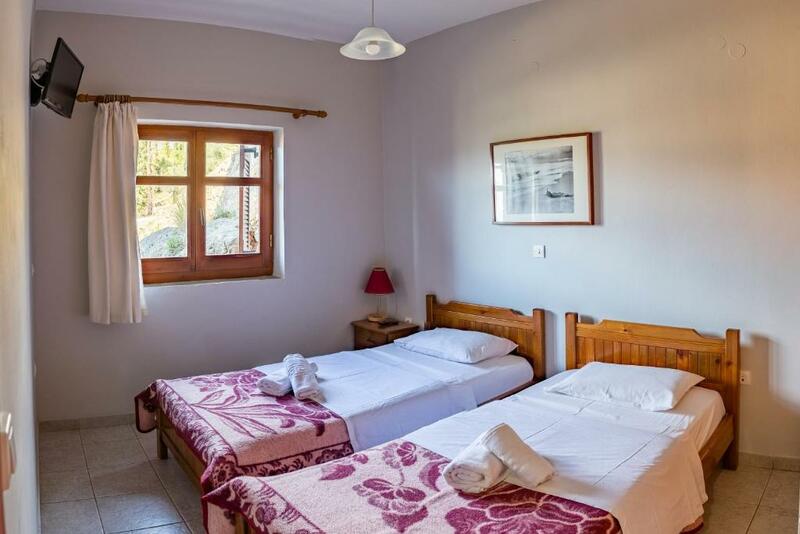 Ideally located on top of a beautiful hillside of the village of Kardamilli, only 1,000 feet from the village center, Papanestoras Apartments enjoy some of the best uninterrupted views of the bay and surrounding plateaux. All accommodations types are equipped with individual kitchen, refrigerator, bathroom, TV, air-condition, Wi-Fi internet and private parking. Kardamili is located in the south of the Peloponnese region of Greece. The area offers many walking and hiking trails, a small pebble beach and village center. 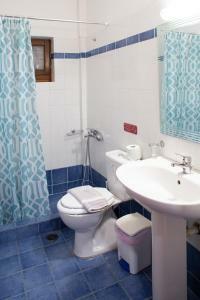 From the apartments, guests can access the routes to Petrovouni, Viros and Gorge. When would you like to stay at Papanestoras Apartments? Featuring stone-build walls, this studio has a furnished veranda with sea view, as well as a fully equipped kitchen. 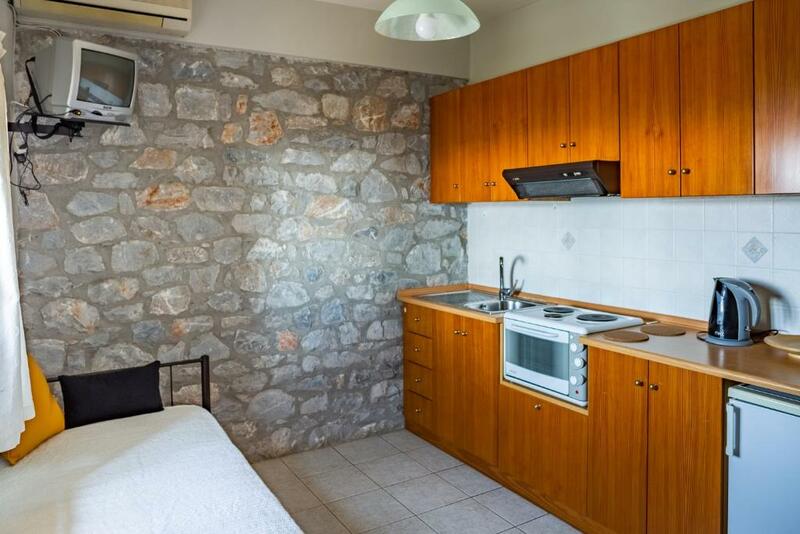 Featuring a stone-paved yard with sea view, this apartment has a fully equipped kitchen. House Rules Papanestoras Apartments takes special requests – add in the next step! Papanestoras Apartments accepts these cards and reserves the right to temporarily hold an amount prior to arrival. Please inform Papanestoras Apartments of your expected arrival time in advance. You can use the Special Requests box when booking, or contact the property directly using the contact details in your confirmation. We had an awesome view of the sunset! The driveway was very steep and had sharp bends which made it tricky to negotiate in a large car. We had planned to self cater, but the cooking facilities were not adequate for this: only a two-plate stove, and no freezer. No great harm, because the restaurants 6 minutes walk away down the hill were excellent! Last part of the road was quite steep. Tricky when you're not used to this. We were lucky that there were no other cars parked upon our arrival. House was only minimally equipped. There were no serving bowls and only two pans, both without lids and only one serrated knife for cutting. Also only one power point for a 2 ring hot plate, kettle and toaster. And no iron. The home-made cakes delivered to our apartment on May 1 st were delicious. Thank you. The view from our shady private terrace is great. It is also quiet, away from the main road but only 5 minutes down the hill to the cafes bars and restaurants of Kardamyli.